The first words that come to mind when thinking about Rome are beauty, style, and sculpture. 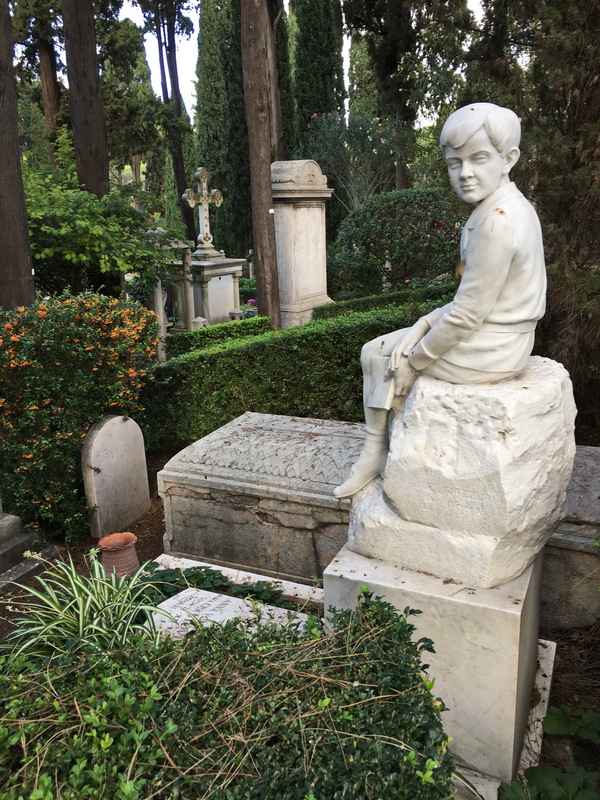 The city’s Non-Catholic Cemetery definitely holds true to this legacy, about which Percy Shelly wrote, “It might make one in love with death, to think that one should be buried in so sweet a place.” His final resting place is here, close to fellow English poet John Keats, both with fitting poetic epitaphs. 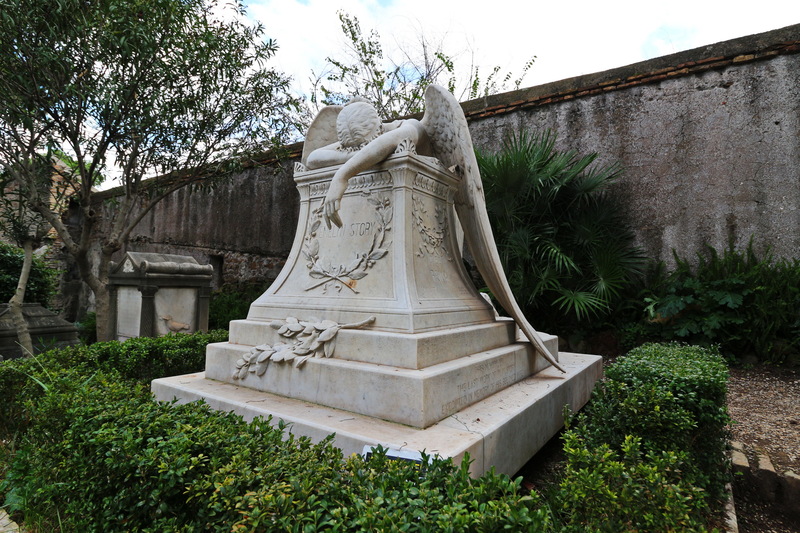 However, the grave that screams out is William Story’s Angel of Grief. 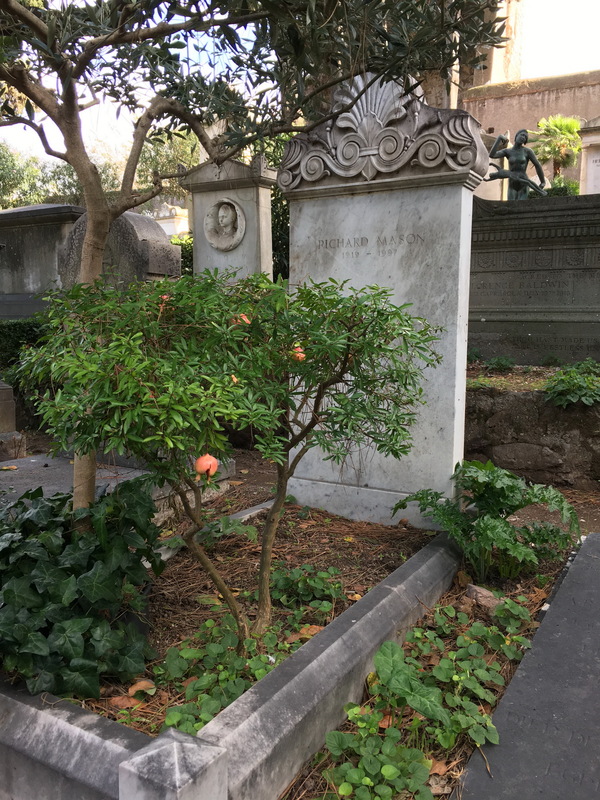 William Story was an American sculptor who moved to Rome after abandoning his previous career as a lawyer. The sculpture is an ode to Story’s wife, Emelyn, who lies beneath and was in Story’s words, “my life, my joy, my stay and help in all things”. This heartbreaking sculpture was his last, as he joined his wife below it a year after completion. An epitome of grief, it’s been copied the world over. 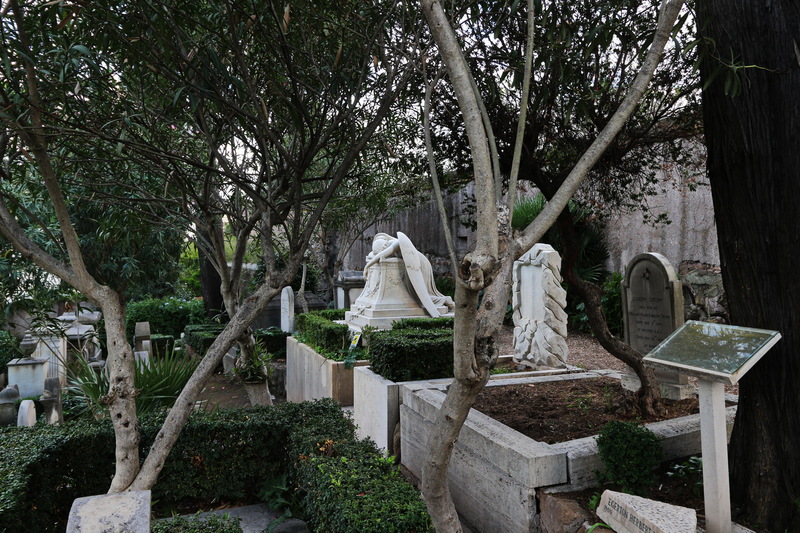 Other arresting sculptures are dotted about the cemetery, intermingling with natural metaphors of reincarnation, as shrubs bloom out of graves. 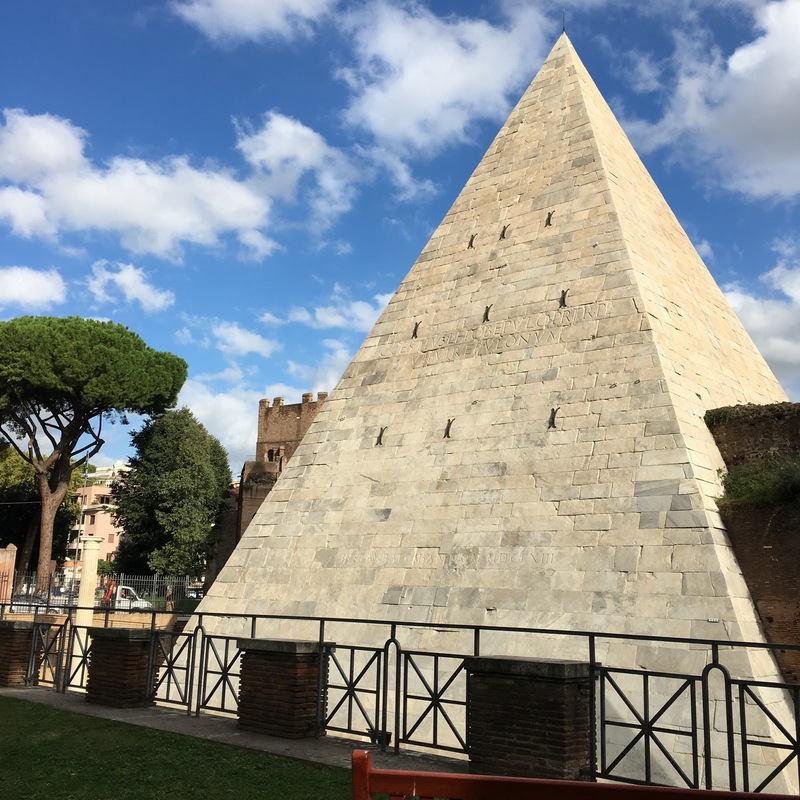 Surprisingly the cemetery is also home to Rome’s only pyramid.